What’s your go-to brunch spot near your apartments in Louisville, KY? If you don’t know how to answer that question, we need to remedy that immediately. This week’s blog post from Echelon at Middletown is all about the most popular brunch restaurants in the neighborhood .Whether you’re looking for a quick meal or an extended brunch experience, you’ll find the ideal restaurant on the list below. 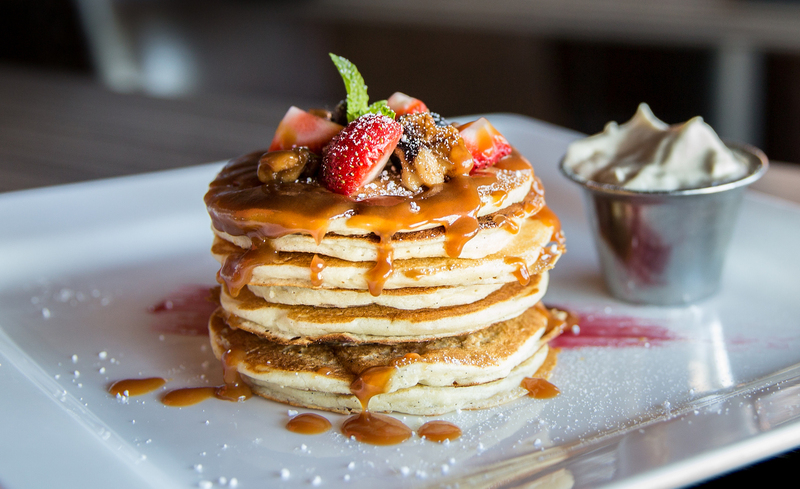 Check out the list of brunch restaurants in this week’s blog, and be sure to share this link with your friends and neighbors at your community of Louisville, KY apartments. For a throwback brunch experience in the heart of Middletown’s historic district, check out Plump Peacock Bakery & Cafe. When you walk in this place, you’ll feel like you stepped back in time. It’s located in the basement of an old building, but they’ve renovated the space beautifully. The menu is simple without being boring. They have a nice selection of classic breakfast dishes to go along with soups, salads and sandwiches. We’ve heard nothing but good things about the bacon marmalade grilled cheese sandwich, but if you’re looking for the biggest meal at the restaurant, go with the biscuits and gravy with eggs. Oh, and remember to grab some pastries to-go before you leave! The ordering experience at ZEGGZ Amazing Eggs is a nice alternative to the slow ordering process you see at most brunch restaurants. You order as soon as you walk in, then you find a table and wait for the waiters to bring you your food. The best deal on the menu is the Eiffel Tower breakfast dish, which includes two sausage patties, French toast, strawberries, goat cheese, eggs and a side dish. All that food, and it only costs $6.95! Other awesome dishes at ZEGGZ include the hashbrown casserole, any of the omelettes and the Italian frittata for those who are trying to eat healthy. If you’re looking for a faster brunch experience, check out ZEGGZ! This cheery, bright restaurant will turn you into a morning person no matter how much you hate waking up before noon. The food is fresh, the ambiance is lovely and the prices are totally reasonable. Our favorite dish is the aptly named Crabbie Patty brunch, comes with two poached eggs and crab meat on top of an English muffin covered in hollandaise sauce. This is a nice option for those looking for a quick, healthy brunch. PICNIC has tons of brunch salads and sandwiches that are both healthy and huge. The way the salads work is you pick up a little metal bucket and fill it with as many ingredients as you want from the salad bar. The staff will then hand-toss the ingredients with whatever dressing you want. It really does feel like a picnic! With that, we’ve reached the end of our list of brunch restaurants! As always, we greatly appreciate those of you that have taken some time out of your busy schedules to read the latest installment in our blog series.We hope you get the chance to try some of the brunch restaurants on this list! We’ll be back in a couple weeks with another informative blog post for our residents, so please be sure to bookmark this page so you can easily check it again in a few weeks when the next blog goes live! While you wait for that, be sure to follow us on social media. That’s the best way to stay up to date and informed about everything happening at your community of Louisville apartments.